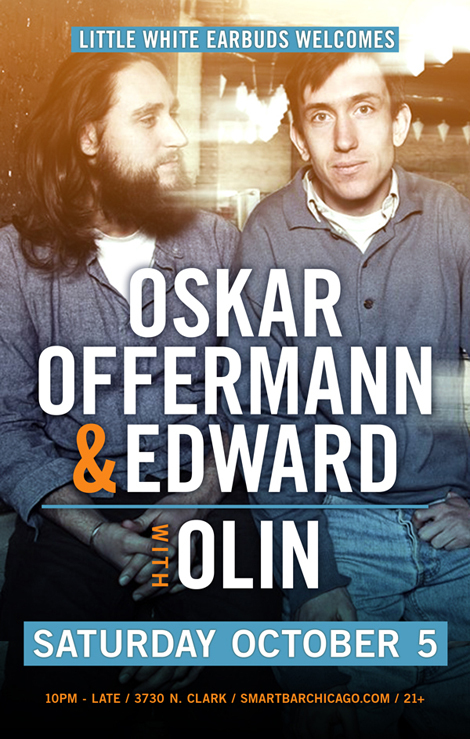 LWE and Smart Bar are thrilled to welcome Oskar Offermann & Edward to Chicago this Saturday, October 5th. The two Berliners will be pumpin’ the jams alongside Chicago’s own Olin, and we want to give a few of you a chance to see the show gratis. For your chance to win one of two pairs of free tickets, simply answer this trivia question: what is the name of the record label run by Oskar Offermann? Send your answers to contest@littlewhiteearbuds.com with OSKAR & EDWARD as the subject. The deadline for entries is Friday, October 4th at 12pm CST. Best of luck; we look forward to seeing you there!